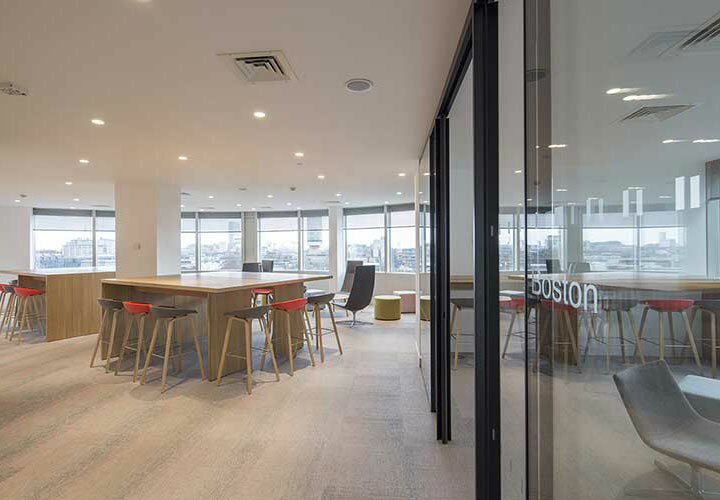 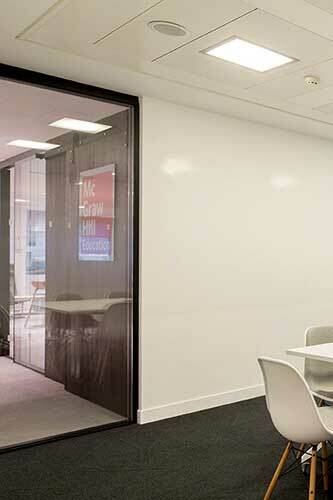 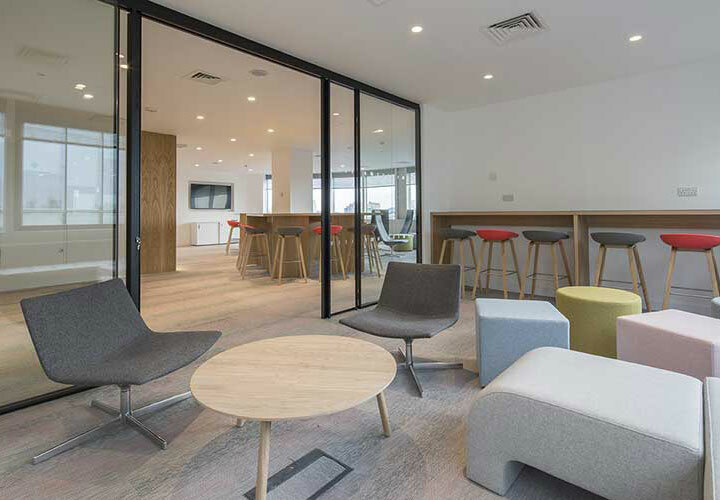 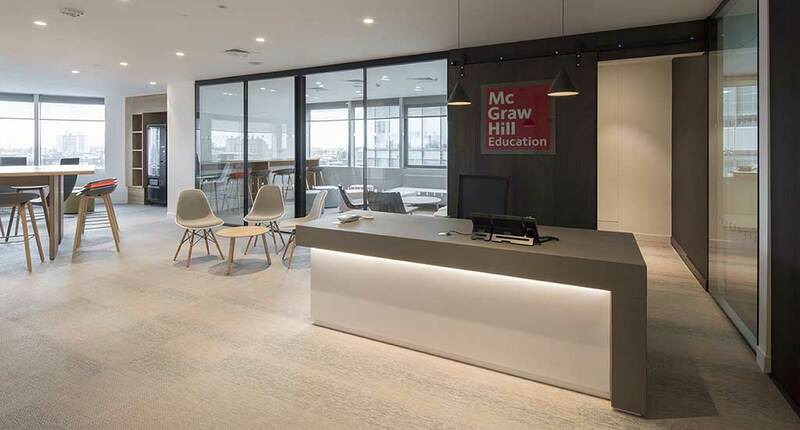 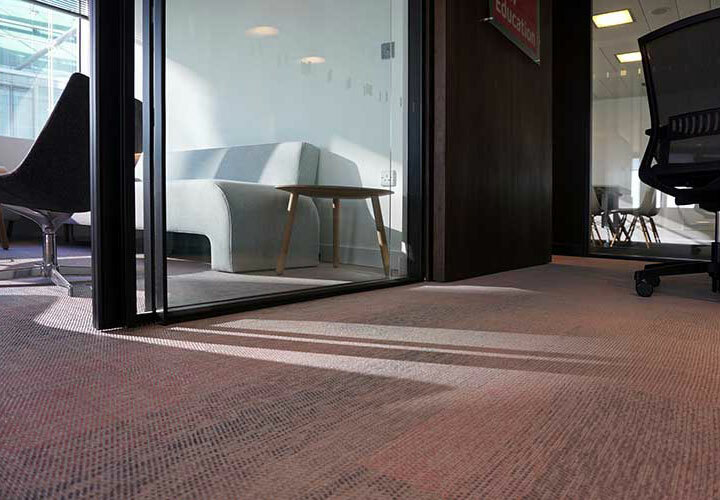 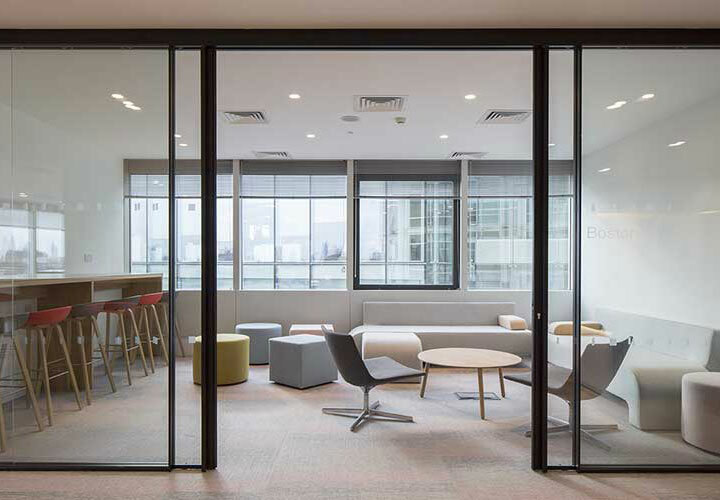 The fit out for this leading digital educational publisher features large Vista sliding single pocket doors with full height integral handles. 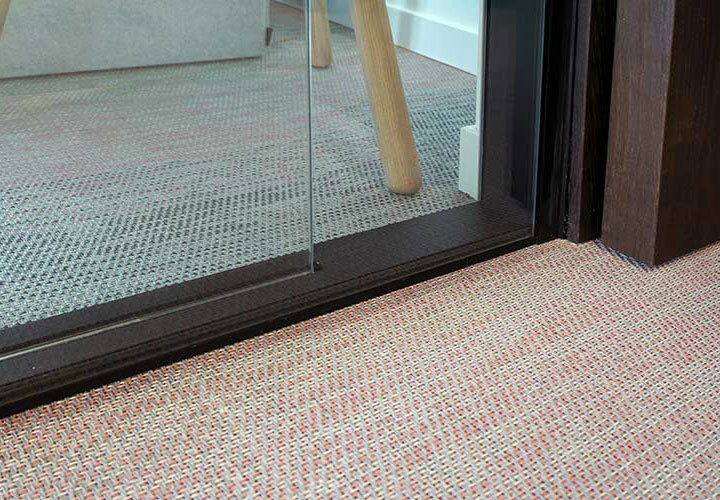 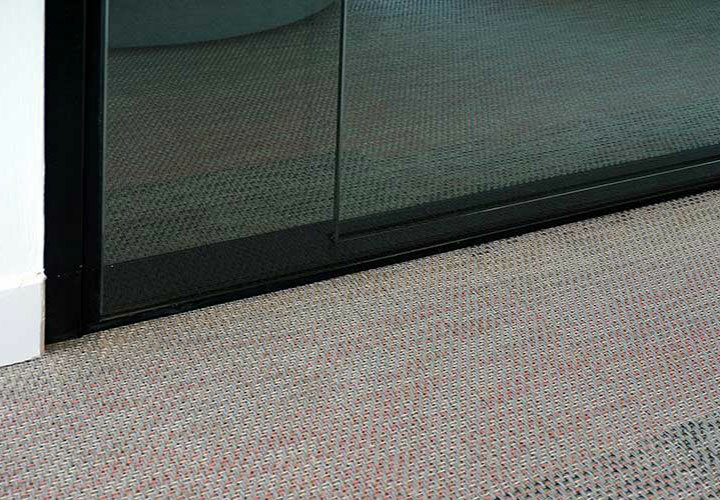 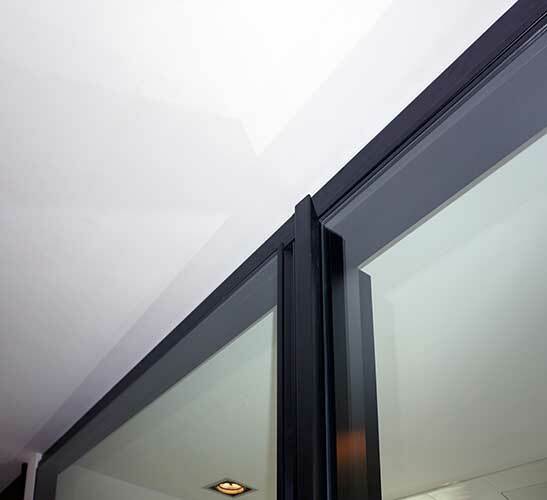 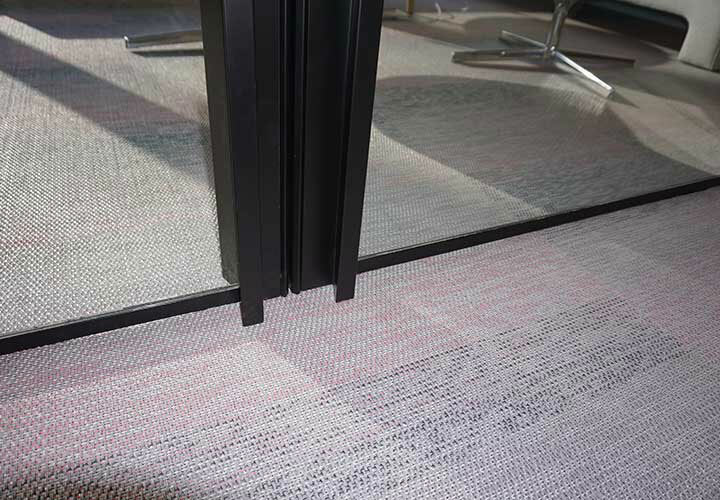 The doors slide into the recess of the adjacent double glazed partitions maintaining the flush finish to both sides of the partition when the doors are open. 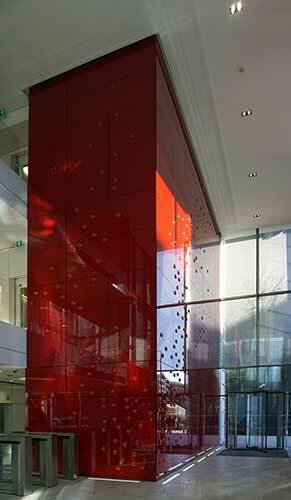 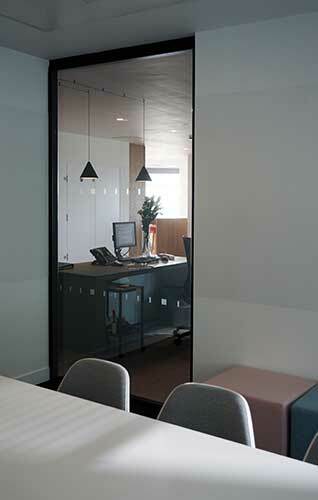 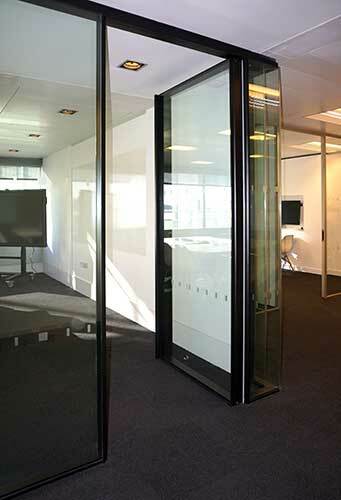 The elevation is framed in a black powder coated structure which offsets the transparency of the glazed wall.